Range of Possibilities (Beyond 44) | "A Song Every Day"
Posted on May 18, 2015 by vspatz	in Counting the omer, Gender, racism, Shavuot and tagged #blacklivesmatter, #ILoveBlackWomen, Aaron Goggans, counting-the-omer, omer. “The media we consume has a profound impact on the range of possibilities we can imagine. Therefore, centering Black female narratives in our reading habits should be a central practice for anyone trying to envision a world in which Black Women are respected, honored, supported and loved.” — So writes Aaron Goggans in his post, #ILoveBlackWomen Day One: Read, and I gratefully accept the suggestion. Deep as erasure, sexism, and misogyny has been for Jewish women and women in Western culture generally, Black women face, in addition, misogynoir. It is, therefore, as Aaron Goggans points out, particularly important to “intentionally consume art, music and literature created by and about Black Trans* Women, Black Women and Black Girls” to counteract this reality. 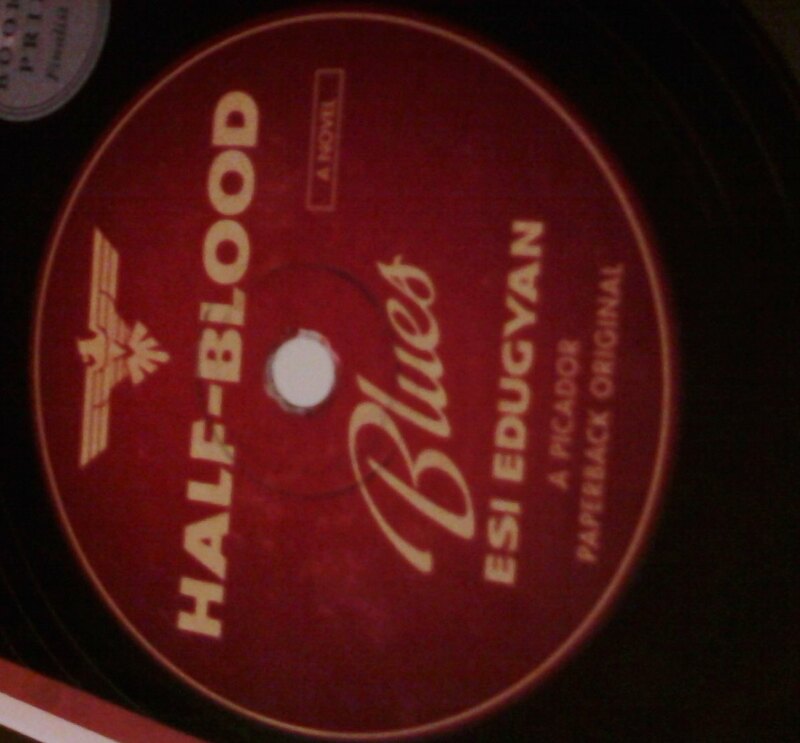 Esi Edugyan, Half-Blood Blues. NY: Picador, 2011. Issa Rae, The Misadventures of Awkward Black Girl. NY: Simon & Schuster, 2015. Personal reflections — too young, at 30, IMO for a “memoir” — from the creator of the web comedy series by the same name as well as a number of other comedy projects. Rae reports taking out some first-draft material in deference to family feeling, but the result is still honest and insightful, and — like her video work — humorous without cruelty. Sonia Sanchez, Morning Haiku. Boston: Beacon Press, 2010. A collection of “haiku” in the sense of spare, powerful verses (not necessarily of the 5-7-5 pattern). Verses are written for varied individuals, from Emmett Till to Ras Baraka, Sarah Vaughn to Oprah Winfrey. See below for an excerpt from 21 Haiku for (Odetta). bring rain to this desert? Thanks, again, to “The Well Examined Life” for the reminder of how many songs, with how much potential to bring rain, we might miss without making a conscious effort to hear from Black trans women, women, and girls. 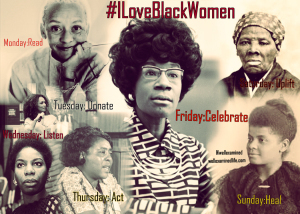 Check out the blog for additional #ILoveBlackWomen activities. We counted 44 on the evening of May 17. Tonight, we count…. Today is forty-five days which are six weeks and three days in the Omer. Hayom chamishah v-arba’im yom shehaym shishah shavuot ushloshah yamim la-omer. Although the concept is not new to me, the word is. For more on this term — meaning “how racism and anti-Blackness alter the experience of misogyny for Black women, specifically” — see Gradient Lair and Wikipedia. Pingback: Blasphemy of Pharaoh’s Overreach: Theology, Context and the Trouble I’ve Seen | "A Song Every Day"